It’s been a rough year in many vegetable gardens, but mild autumn days are just around the corner. It’s time to renovate neglected beds and get late crops planted, lavish summer compost on everything, and step into soil-improvement season by sowing weed-choking green manure crops. Every situation doesn’t merit wholesale renewal. I always grow one robust double row of sweetcorn, which needs high levels of soil nutrients to produce well. The sweetcorn plants may not use up all the fertiliser applied to the row middles, so it’s a cushy planting niche for heavy-feeding autumn crops like collards and spinach. Last year, I cut off the corn stalks at 14-inch (35cm) height, and used the tall stubs to support a row cover, which protected the autumn greens from insects, deer and harsh weather. It gets better: The cut corn stalks made handy weights for securing the edges of the cover. My new seedlings of broccoli, cabbage, kale, kohlrabi and other widely spaced plants get a huge helping of fresh summer compost, buried by the spadeful at the bottoms of their planting holes, with a little organic fertiliser mixed in. I have plenty of compost this time of year, but it likely includes plenty of weed seeds, which doesn’t matter when it’s sequestered more than 2 inches (5cm) below the soil’s surface. Parts of the garden that won’t be planted until late spring are prime spots for growing cool-season cover crops, also known as green manures because they are grown to benefit the soil. Cool-season cover crops are a beautiful and bioactive way to increase your soil’s organic matter content during the off season, and you won’t need a tractor to chop down the plants when the time comes. A sharp manual lawn edger will take down most cool-season cover crops in a matter of minutes. There are dozens of cold-tolerant species from which to choose, or you can use a cover crop blend offered by your favourite seed company - a great way to get to know clovers, mustards, vetches and other green manure plants. I like to restore my haggard tomato patch with a cover crop of mustard, which can reduce disease carry-over when it is quickly chopped up and turned under. In the row where next year’s tomatoes and peppers will go, I like to sow nitrogen-fixing legumes like hairy vetch, crimson clover, or Austrian winter peas, or a blend that includes vetches, grains and clovers. 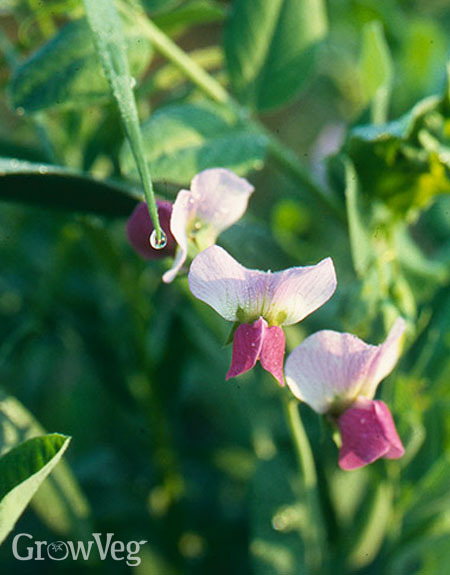 The legumes germinate best while the soil is still warm, so they are usually planted in September. As you clean up after tired flowers and herbs, you will encounter mature seeds. I like to collect some to replant or share at my community seed swap, but I also dump many seed-bearing poppies, calendulas, cosmos, marigolds, nasturtiums and zinnias onto a bed where I’ll know to look for seedlings in the spring. A small wire bin collects the mess, and gives me a place to put the remains of seed-bearing herbs and flowers that reseed with a little help. Most of the seeds succumb to winter, but there is always an assortment of volunteer seedlings that appear around my deadhead pile when the weather warms in spring. Finally, it’s never too soon to get ready to plant garlic, which deserves loose, deeply dug soil that has been generously amended with compost. I won’t plant my garlic until October, but between now and then I might sow a quick mustard cover crop to suppress weeds, or use the broadfork to aerate the soil deep down, all the while throwing on more compost. By the time planting day comes, the soil will be as crumbly as chocolate cake. Worth going for, don’t you think? "Love the idea of an out of the way place to find volunteer seedlings [point 4]. I've always found the odd plant - usually a pumpkin or tomato variety - that springs up in odd places that I've used some of our compost and these plants are generally very robust as they've evolved to be used to growing in the environment of our particular garden. So it makes sense that other seedlings that have survived over-wintering in a deadhead bed would do the same. "